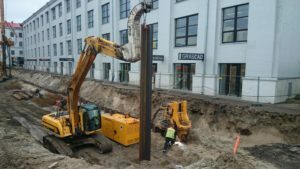 Sheet-pile walls with the length of 6 meters were installed at Veerenni 24 Tallinn. 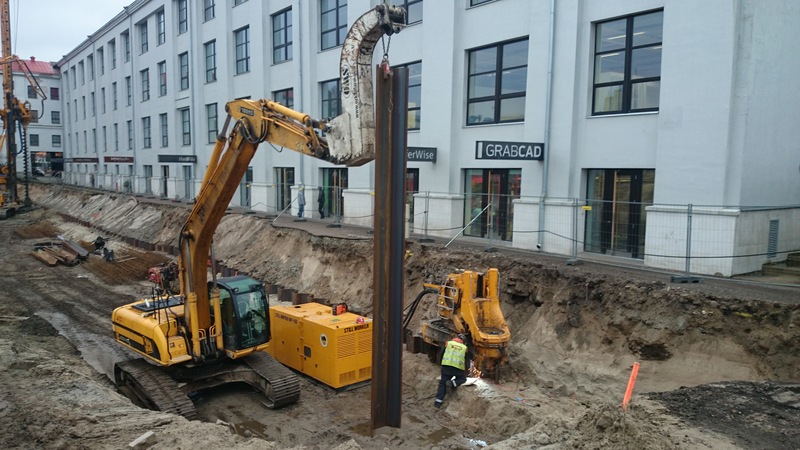 Sheet-pile walls were sunk without vibration by using the penetration method. Total volume of the work was 100 meters.